For someone who grew up in the 90s, the name Mona Fandey is something that sends chills to your spine. Mona Fandey is a Malaysian Pop Singer back those days who later made a drastic career change to be a shaman. The fame which she fully garnered as a singer, she gains it when she became the talk of the country and international media in 1993. On July 1993, Datuk Mazlan Idris, a politician from the ruling UMNO party had seek the supernatural services of Mona Fandey to grow his political career. In return, Mona Fandey was paid handsomely and instead of fulling Datuk Mazlan Idris’s wishes, she and her team murder him and cut him up to 18 pieces. She and her team were eventually captured, tried by jury and hanged to death in 2001. It was allegedly said that she uttered the words “Aku takkan mati” moments before she was hanged. 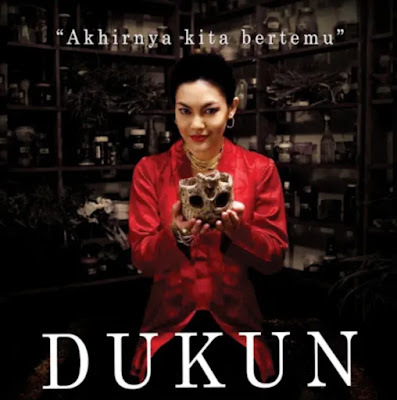 Dukun is a Malaysian film inspired by events from the Mona Fandey case. Shot in 2006 and slatted for a 2007 released, the movie was banned by FINAS until it recent release on 5th April 2018. Dukun is a film about a lawyer whose daughter had ran away recently and in his efforts to find gets entangled with a murder convict that he must defend in court who is a shaman that is being convicted for murdering a businessman. In his desperation to seek his daughter he becomes a pawn in a bigger and dangerous plan of the shaman. You will have noticed many similarities between the character of the shaman and the way the businessman was gruesomely murdered towards the Mona Fandey case. It is those moments which makes the film even more interesting. I particularly enjoyed how the film had more layers compared to just making a film fully inspired from Mona Fandey. Instead having a plot of a lost lawyer seeking his daughter was a good touch. but the plot regarding the lawyer and his daughter. It was a little disappointing for me that I was able to figure out the plot twist so early in the film and with that was able to guess many moments that was about to come. I would have preferred that those moments were better hidden. I also enjoyed how the director fits in an element of having the need to trust in god and how men seek back to god when he realizes the wrong path he has taken. Well done on emphasizing that key message. One moment which made me very curious in the film and which I am yet to figure out if it was fiction or factual is when during the court trial, a Chinese gold businessman would testify that the convict had bout gold and jewelry worth 1.2 million from his shop. During the time other witness was testifying, the convict would always remain calm and composed, but not during this moment. Here you will she being angry and restless and eventually she would speak in a male Chinese voice claiming that the businessman is lying, and he would eventually bleed from his mouth. Why was this scene placed in this film? Does this scene have anything to do in the real court trial of the Mona Fandey case? I don’t know but the fact that this scene was intentionally placed in the film raises more doubts in my mind. In a nutshell, if you like film that balances thrill and mystery, Dukun is a story you will enjoy. 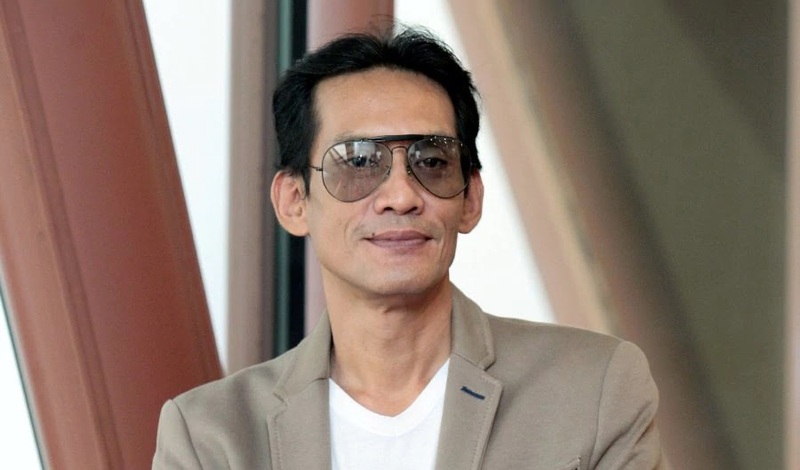 Dukun was supposed to be Dain Iskandar Said’s first film, however due to all the bans and restriction placed by FINAS, Dukun was never able to see daylight for nearly 12 years until recently. 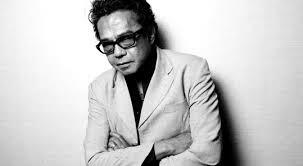 Post Dukun, Dain has done several films and it is only fair to judge him in this film as a debut director. First of all, I must say it was very brave and bold on Dain to pick craft a film inspired by a very controversial figure. 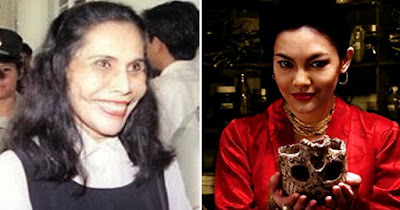 When I read about Mona Fandey when I was young, I always wondered why no films was done about her and then I found Dukun. Credit to that Dain. Huge credit to Dain once again in extracting some very powerful performance from his cast in the film and also the research done for the detailing in the film. Let be the Mona Fandey perspective, the way a lawyer conducts himself in court or the dark magic arts. Very well detailed work was done there. Two things didn’t impress me much in the film however. First was the editing and the engagement. I felt many scenes in the film could have been trimmed down by a couple of seconds to increase the engagement. The scene establishment shots I found it too long and thus disconnected me from the film many times. In addition, with the lack of background scores during many scenes once again disconnected me from the film. Some sort of music or sounds during scenes especially when there were no dialogues could have made it better. The second point was the usage of the VFX in the film. It felt a little artificial and didn’t gel well in the scenes but that is something very much forgivable as we need to remember that the film was shot 12 years ago using available technology back than. Dain Iskandar Daud certainly did impress me very well and it is no surprise to me why his next film “Bunohan” was very critically acclaimed. I particularly enjoyed the way how you flirted and seduce the men in the movie. It felt so slick and cunning. It reminds me of how a snake slithers when it moves. I wouldn’t be surprised if you used both Mona Fandey and snakes as study guide to prepare for your character. You brought us to the darkest corner of the character and struck fear in our hearts with your performance. Let be the way you lick the wall or how you bend around your body while looking possessed or the way your body jolts while you are performing the dark arts magic, it connects with the audience so well and made us fear about you. Lots of credits for taking up such a bold and beautiful role and presenting it to us in both elegance and haunting at the same time. Enjoyed your tone you used to deliver your dialogues in the film. How it moves up and down and the aggression that comes in with. As much efforts you put in acting in the film, it was equally done in the dubbing process too. No wonder you are such a highly sought-after actress. I hope through Dukun, you can add more awards to your glorious career. Diana Dahlan is going to be a character that is remembered for a very long time. Plays the role of Karim Osman, who lost his wife about 10 years ago and now has his daughter missing. He tries to trace back his daughter in both the legal way and through engaging a mysterious individual. When all attempts fail, he is pushed into desperation to seek the help of Diana Dahlan. His character is a lawyer by profession and Faizal does very well to shows us the dilemma of a man who should be believing facts and logic but is pushed to follow and believe something that can’t be explained. As he tries to defend Diana’s crime from a logical point of view, he is also pushed into accepting black magic to trace back his daughter. That confusion in his character was well portrayed. I also enjoyed the way he acts as a lawyer in court. Despite knowing his client is guilty, he comes up to find ways to defend her actions. He is a character that is dealing with many different emotions and is very lost in his life. I like the way how he performed towards the end when he gets completely broken down and then tries to regain his way to light. No doubts Faizal justified the role given to him with credit.